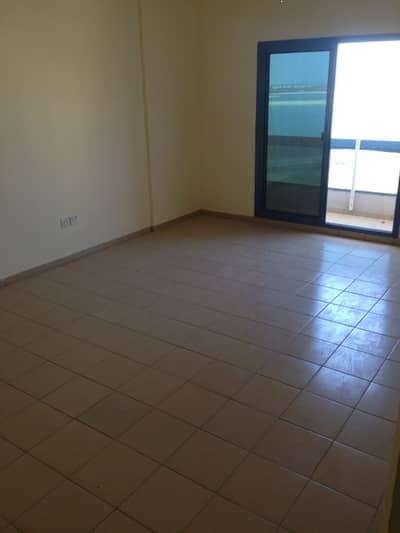 Looking to buy an apartment in Al Mamzar instead? Al Mamzar is a waterfront community in Sharjah, close to the city’s border with Dubai. 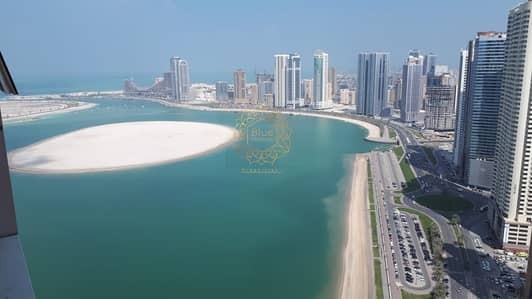 It is surrounded by the creek that extends to the Persian Gulf and the development adjoins the waterfront outspread of Al Khan community towards the north-east. Other neighbouring communities include Al Taawun and Al Nahda, which are located below its southern border. 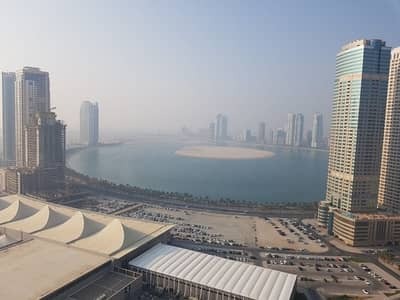 Al Mamzar is also an extension of the island in Dubai that shares the same name. Al Mamzar consists of an eclectic collection of modern buildings, ranging from mid-rise and high-rise buildings to skyscrapers which also tackles the need of its tenants. Many off-plan projects in this development have attracted early-bird investors looking for waterfront real estates. 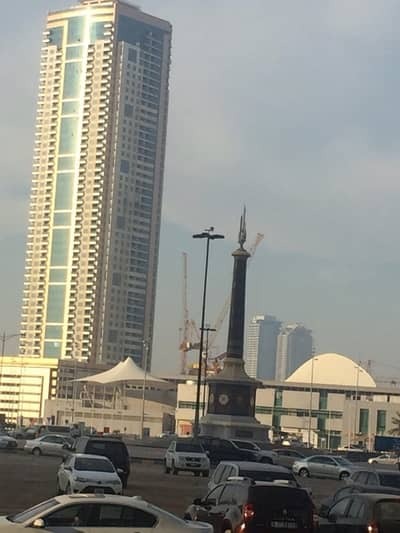 There are a few ready buildings along Al Khan 2 Street that fringe the corniche of Al Mamzar. The coastal buildings include Palm Tower 1, Al Mamzar Tower, Lagoon Tower and Burj Al Saadah Tower. The Lagoon Tower is a 153.79 metres tall residential building, which contains 39 floors. There are a total of 182 apartments in this project, featuring six 3bhk flats on each floor. 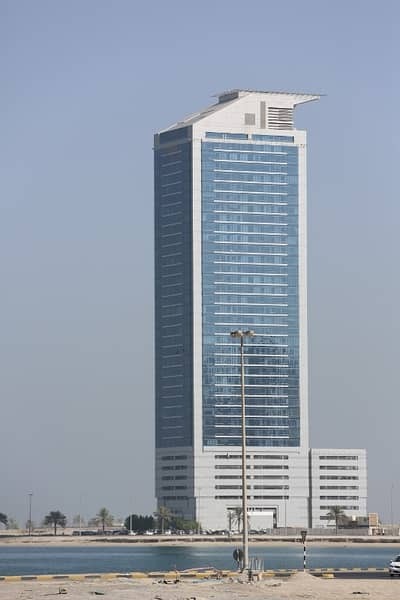 The slim and tall building of Burj Al Saadah features 43 floors. 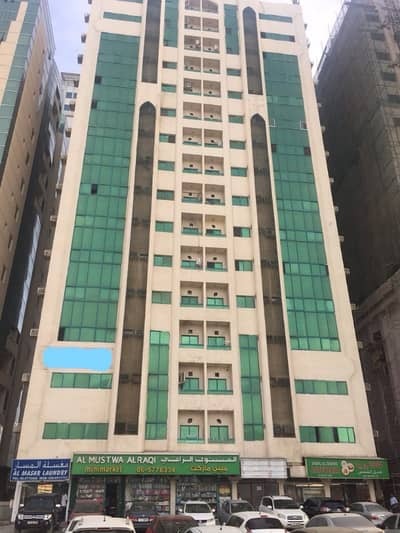 Some other notable buildings with apartments available for rent include Al Mamzar 1, which is a 149.85 metres tall mixed-use building with 38 floors. 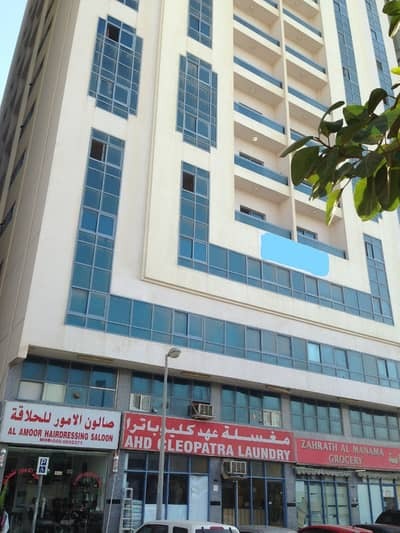 It is located on Al Taawun Street that runs along the southern border of Al Mamzar. The 40-floor high Manazil Tower 3 is another apartment complex on the same street that has 34 floors dedicated to 268 unfurnished apartments while the other 5 floors are reserved for private car parking. Palm 1 Tower is a magnificent skyscraper with a staggering height of 220.82 metres that consists of 56 above-ground floors. The property types mostly include 2 and 3bhk. 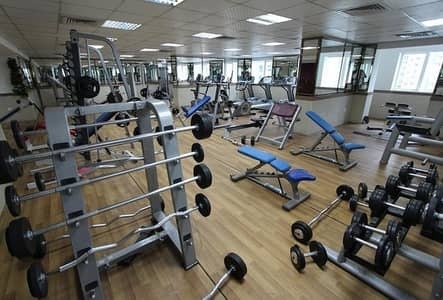 Most of the residential units in this locality are spacious with a few consisting of 2 vast halls instead of just one. 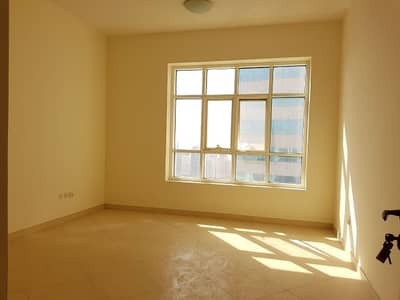 Due to its ideal location, many people who plan to live in Sharjah choose to rent apartments in Al Mamzar. 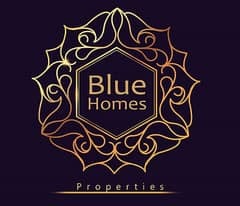 Based on the current listings on Bayut, the lowest price of 2bhk apartments is AED 32,000 per annum while the highest is AED 75,000 per annum. The 3bhk apartments in Al Mamzar are also reasonably priced, with rental charges starting from AED 50,000 and going up to AED 85,000. 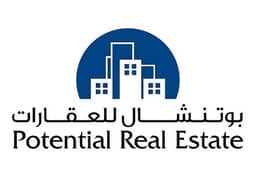 Currently, there aren’t many 1bhk flats but the ones present can be rented for as low as AED 19,000 per annum. Most apartments require you to pay the rentals on yearly basis, with up to 12 cheques. Spread across 105 hectares, it is home to white sandy beaches and swaying palm trees. Conveniently located around the corner of Al Mamzar at the Taawun Roundabout is Al Arab Mall, one of the major tourist attractions in the city. Besides being the favourite shopping destination for the residents, the state-of-the-art structure of the mall adds an elegant outlook to the locality. Boasting 150 various species distributed in 20 separated tanks, Sharjah Aquarium provides an enlightening experience for children and adults. It is located at Al Meena Street in Al Khan area, just 6 minutes away from this locality. 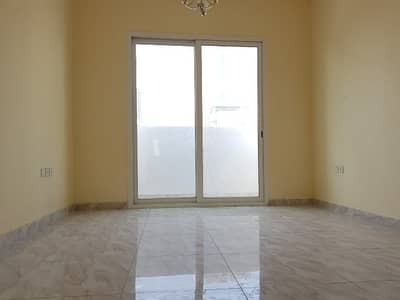 Rental properties in Sharjah appear to be a budget-friendly option for expats and locals alike. It is not just the affordability factor that draws tenants in Al Mamzar but also the fact that its close to several amenities. The prestigious exhibition and convention facility called the Expo Centre Sharjah is located right opposite to the aforementioned Al Arab Mall. Other amenities include The New Sharjah Chamber of Commerce and Industry, India Trade and Exhibition Centre and USA Regional Trade Centre. The premium educational institute in Al Mamzar called Victoria International School of Sharjah has a co-ed system and offers extensive academic programmes. 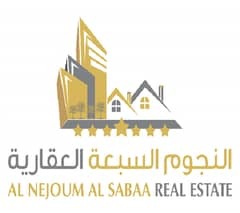 The nearest landscaped recreational areas include a popular community park in Al Nahda. Another one is the lakefront garden in Al Majaz, offering various fun activities and attractions. 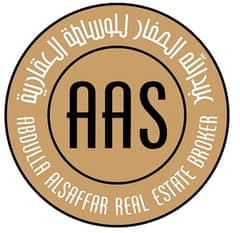 I am looking for Apartments to rent in Al Mamzar, Sharjah, UAE. Please let me know about any suitable properties you have. Thank you.